A large sampler pack of our Wisconsin made products....1.7 oz. 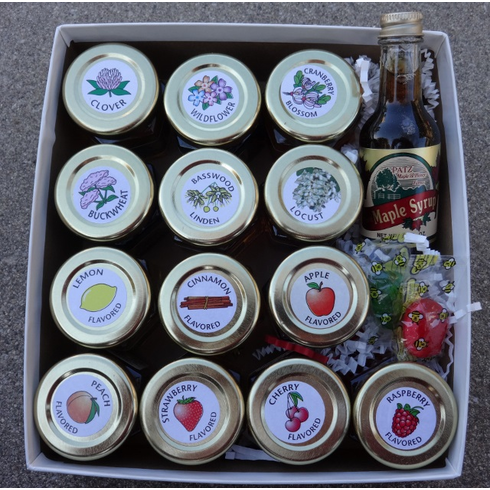 pure maple syrup, clover, wildflower, cranberry blossom, buckwheat, basswood, and locust honey plus lemon flavored, cinnamon flavored, apple flavored, peach flavored, strawberry flavored, cherry flavored, and raspberry flavored. A sweet way to show you care!